Crossword's defence sector blockchain spin out, ByzGen Limited, secures £500k investment. Crossword Cybersecurity plc (NEX:CCS, "Crossword"), the technology commercialisation company focusing exclusively on the cyber security sector, is pleased to announce that ByzGen Ltd, a newly formed blockchain company targeting the Defence and Security sector, has raised £500k from RFS. ByzGen spun out of a joint project with Professor Tim Watson's WMG cyber security group at the University of Warwick and a partnership with Professor Bryan Ford's team at EPFL, the Swiss Federal Instiute of Technology in Lausanne. ByzGen has secured £500k seed investment from RFS (Regulatory Financial Services Ltd) and former Sandhurst-trained British Army Officer, Marcus Ralphs, has been appointed as CEO of ByzGen. Following a Ministry of Defence funded proof-of-concept, ByzGen continues to work closely with the defence user community to implement this new and exciting technology; bringing with it a level of data and information assurance, provenance and future-proof protection that was considered impossible only a few years ago. 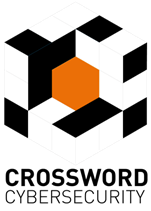 Crossword has licensed its blockchain intellectual property to ByzGen and has also entered a long-term commercial agreement. "Crossword worked closely with our university partners, Warwick and EPFL, to create ByzGen. We are delighted that RFS has provided £500k of seed investment and with Marcus Ralphs' appointment as CEO. His knowledge across Defence and Security will move ByzGen forward and demonstrate in practice the novel architecture in real world business situations." "ByzGen is the first blockchain company to focus exclusively on the defence sector. Enabling the Defence and Security sector to be at the vanguard of developing and adopting game-changing blockchain technology is really exciting. We continue to work closely with the user community, academic experts and fellow commercial enterprises, to enable the sector to realise the genuine potential of distributed ledger technologies."